Matthew 3:1, 2 – “In those days John the Baptist came preaching in the wilderness of Judea, “Repent, for the kingdom of heaven is at hand.” As we read the account of John the Baptist, it can be very easy for us to miss the significance of his role in God’s redemptive history, the impact he was having on his culture at the time, and the lessons his life leave for us today. The account of John the Baptist is mentioned in all four Gospels. Understand that it had been 400 years since Malachi (the last book of the Old Testament) proclaimed the coming of “the great and awesome day of the Lord.” Since then there was prophetic silence. Think about that for a moment – 400 years! Look back 400 years in our nation’s history, the time of the Pilgrims; that is a long time. Now comes John the Baptist proclaiming the imminent arrival of the Messiah and the Kingdom of God. John the Baptist had become a national figure. “Jerusalem and all Judea and all the region about the Jordan were going out to him” to be baptized. (Matthew 3:5). John was doing something quite shocking to the religious leaders – he was baptizing in the Jordan River. This was not the Believer’s Baptism that Christians do as an act of obedience and public profession of their faith; this was what the Jews would recognize as a proselyte baptism, a ritual of ceremonial cleansing required of a gentile to become a Jew, because gentiles were viewed as unholy and unclean. John was saying that even the Jews, including the Pharisees and Sadducees, were unclean, unprepared for the coming of the Messiah, and he was calling for national repentance. Naturally, the Pharisees and Sadducees were furious over this huge, bold, and very public insult! And when confronted, John the Baptist did not pull any punches — “You brood of vipers! Who warned you to flee from the wrath to come? Bear fruit in keeping with repentance. And do not presume to say to yourselves, ‘We have Abraham as our father,’ for I tell you, God is able from these stones to raise up children for Abraham. Even now the axe is laid to the root of the trees. Every tree therefore that does not bear good fruit is cut down and thrown into the fire.” (Matthew 3:7-10) The Messiah is coming, and you are not ready! The Pharisees had sent the priests and Levites to investigate the matter of John’s baptism, and their main concern was who John the Baptist was proclaiming to be. Why did he think he was so special? (John 1:19-34) However, John the Baptist immediately directed all attention away from himself and on to Jesus – “Among you stands one you do not know, even he who comes after me, the strap of whose sandal I am not worthy to untie.” (John 1:26, 27) John the Baptist understood his mission – to proclaim Christ and Christ alone. He was not hindered or distracted by public opinion or public attention. He did not seek position, title, or notoriety. The Book of John further records that when John the Baptist saw Jesus coming, he did not announce Jesus as the King or as the Lion of God, but rather “the Lamb of God, who takes away the sin of the world!” The ultimate Day of Atonement was at hand! This was the beginning of the end of the Old Mosaic Covenant, and the dawn of the New Covenant of reconciliation with God through Jesus Christ. (See Hebrews) This was the proclamation of the Gift of God and salvation only by grace through faith in Jesus Christ and not by works, leaving no room for anyone to boast. (Ephesians 2:8-9) John the Baptist was a faithful Herald of Immanuel (God with us), and of John, Jesus said, “among those born of women none is greater than John.” (Luke 7:28) But Jesus went on to say, “Yet the one who is least in the kingdom of God is greater than he.” Grace is the great equalizer. Anyone who is in Christ has the full righteousness of Christ credited to them, rendering the righteousness of people meaningless for salvation – Christ is sufficient. Those in Christ are now free to pursue righteousness as an act of love for God and others, rather than pursuing the law out of fear of judgment. (Romans 9:30, 31; 1 Timothy 6:11; 2 Timothy 2:22) This is Good News! John was faithful with the message of reconciliation, which he boldly proclaimed to all, drawing no attention to Himself. Now God has entrusted you with the message of reconciliation. What are you going to do with it in 2019? 2 Corinthians 5:17-21 — Therefore, if anyone is in Christ, he is a new creation. The old has passed away; behold, the new has come. All this is from God, who through Christ reconciled us to himself and gave us the ministry of reconciliation; that is, in Christ God was reconciling the world to himself, not counting their trespasses against them, and entrusting to us the message of reconciliation. Therefore, we are ambassadors for Christ, God making his appeal through us. We implore you on behalf of Christ, be reconciled to God. For our sake he made him to be sin who knew no sin, so that in him we might become the righteousness of God. 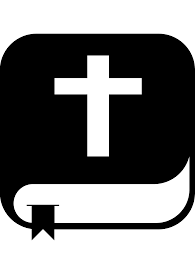 “Cross” Fit S-WOD (Spiritual Workout of the Day) – 2 Jan 19: Today, recommit to being a faithful ambassador for Christ, never representing yourself or your views in any situation but only Jesus and His will.